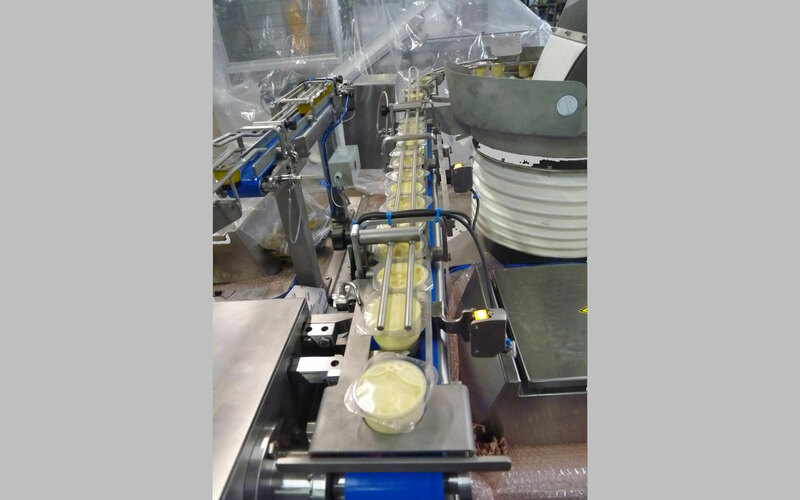 To distribute and deposit forks and sauce pots in salad trays. IDEATEC developed a feed solution using a vibrating bowl. 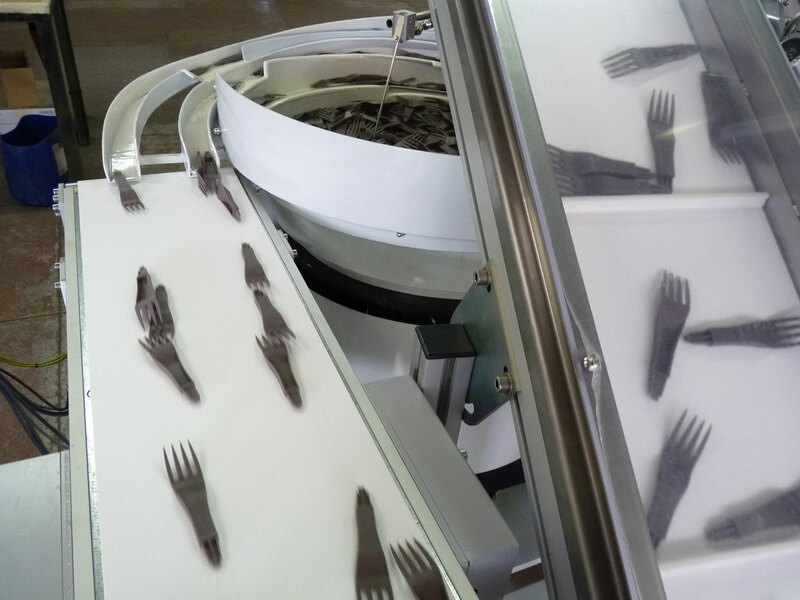 Thus the forks or spoons are presented on a belt to then be processed by a robotic 3D vision system. 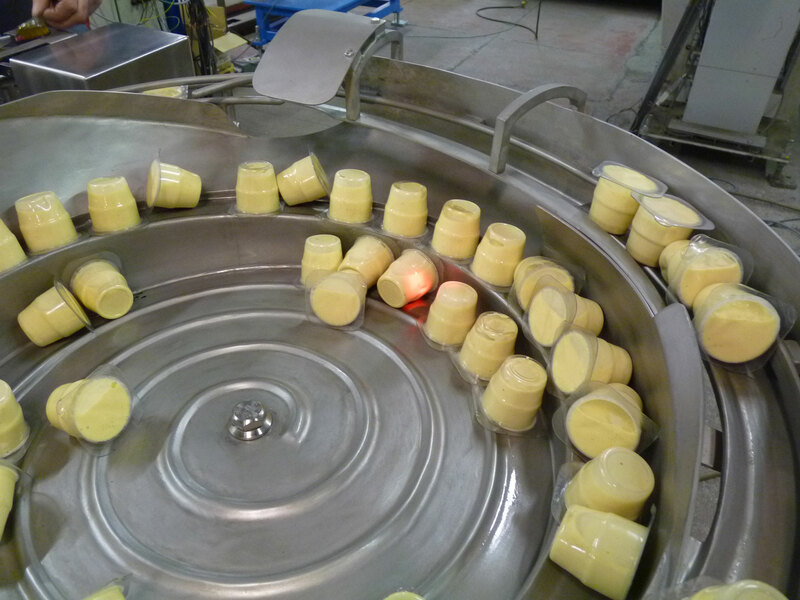 The sauce pots are then directly deposited into the trays. This equipment is easily removable for cleaning with water and is made of stainless steel.